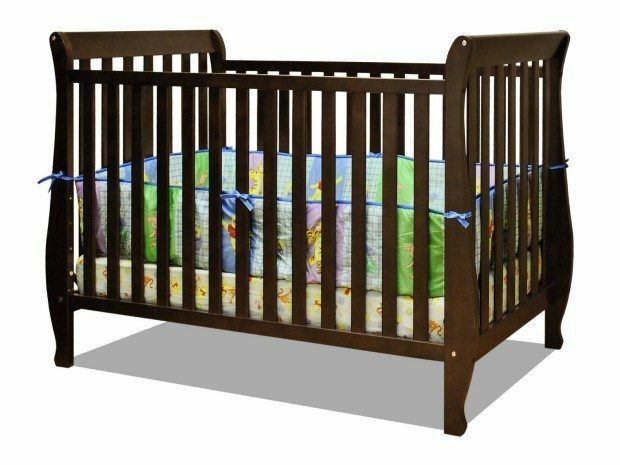 Athena Naomi 4 in 1 Crib with Toddler Rail in Espresso Only $102.99! You are here: Home / Great Deals / Amazon Deals / Athena Naomi 4 in 1 Crib with Toddler Rail, Espresso Only $102.99! Down From $225! Ships FREE! Athena Naomi 4 in 1 Crib with Toddler Rail, Espresso Only $102.99! Down From $225! Ships FREE! Head over to Amazon and order the highly rated Athena Naomi 4 in 1 Crib with Toddler Rail in Espresso for Only $102.99! Down From $225! Shipping is FREE! The graceful curves on the Naomi 4 in 1 convertible crib resemble a blossoming flower bringing beauty and vigor into the world. Its unique style combines different elements for safety and ease of use. Made of pine solid hardwood with a nontoxic finish, the Naomi crib has stationary sides for added safety in addition to wide, thick slats for extra sturdiness. This convertible crib features 3 level adjustable mattress height support, and conversion to a toddler bed or day bed with the included guardrail, or full size bed (conversion rails sold separately) to accompany your child’s growth.